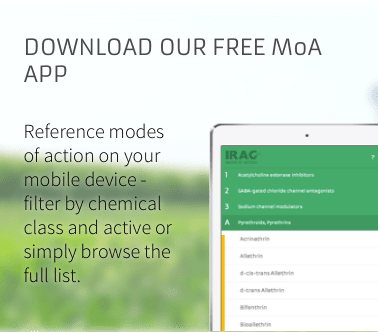 The Insecticide Resistance Management recommendations have been developed by IRAC Brazil & IRAC International and in consultation with leading local experts on Brazilian agriculture and resistance management. The recommendations are based on resistance management principles, whilst also considering the need to provide economical pest control. They are intended to provide the basis for developing an effective pest management program that minimizes the risk of insecticide resistance evolution. Although the recommendations provides the basis for developing a pest management strategy, local variations in agronomic practice, pest spectrum, crop growth dynamics, pest susceptibility…..etc, mean that adaptation to local conditions is necessary.